I am not a “Here’s 4 covers for you to choose from” designer. I take a very different approach. A professional designer works best when there is a balance. It’s my job to bring the balance to the project. I spend half of my time consulting, advising, and educating the client and the other half on the actual design. And I don’t mind it one bit. I love it actually. I have a rule in my business and that is when you work with me, you are in a no-apology zone. Now I’m not dumb enough to think this applies to me, but I really want my clients to embrace that. There is a lot to learn, and not knowing something shouldn’t be cause for apology. That’s why my clients select me to join their team. I bring more than just a good design to the table. So how is balance achieved when working with a designer? My clients choose me because they trust my judgment and like my style. If you look at my portfolio and don’t feel a connection to my work, please do not hire me. With that being said, that doesn’t mean that I want or should have 100% full responsibility of designing the cover. I need input so that my creative juices flow in the right direction. The fee that you pay your designer is for her creativity, market research, mastery of the technology, and intuition. But you will also have a little homework. It’s your responsibility to give the designer a set of a parameters to design within. I provide my clients with a questionnaire to fill out. From this form, decisions are made that will affect the overall design of your book, your marketing materials, and your reputation. I learn best by looking at both sides of the coin. If I only study what worked, then the full potential of the process will never be achieved. 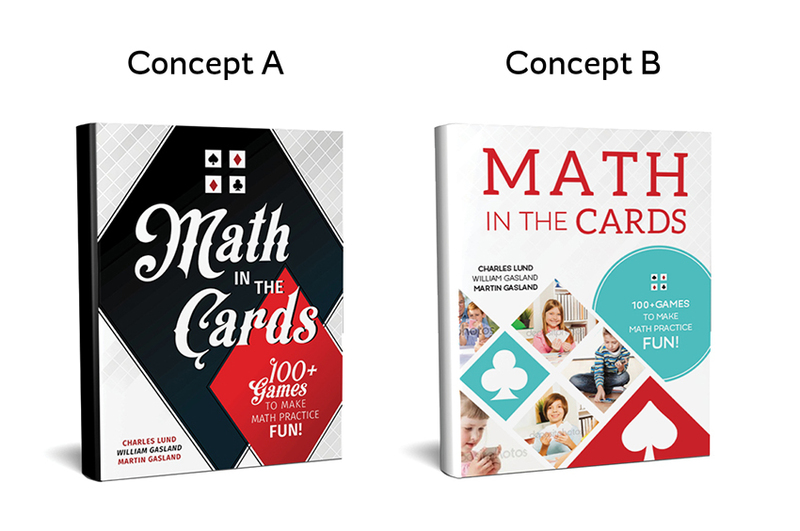 Let’s look at the cover design process using three different scenarios. This example is when a client filled out the form but the examples she provided conveyed a different story to me than they did to her. I focused on the font styles, color balance, and focal point of the 4 designs she showed me. Her focus was on different elements of the 4 covers. We went back to the drawing board and came up with a winning cover, but you can see that it doesn’t resemble the covers she originally submitted as a style guide. I should have given her more direction about what I am looking for in her example covers. I have since revised my form to guide the client on those 3 key elements that come together to help them arrive at a cover they love. Let’s look at two covers for the same book. One was designed without conducting a proper client interview, veering off the path of my trusted process. This is what happens when I’m given free reign; I design a cover that’s all me. Both of these are great covers. But you can see the stark contrast between the two. I left out one very important question in my interview of the client: Do you have an established product line that I need to match? When she received the first cover, she thought it was lovely but way off the mark and didn’t match her other products. So after I learned that she had other products, more research was done. You can see that I was still able to use some of the same elements and concepts, but I used them in a different way. 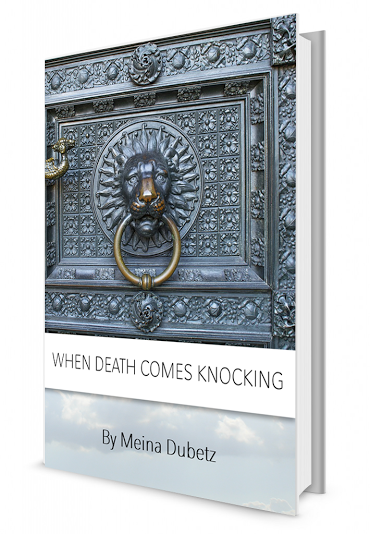 Meina’s daughter had already created a cover for her for consideration. It’s nice and tidy, easy to read, and the image speaks to the title. But there’s a lot of things it isn’t. One thing it “isn’t” is a book with a complete title. Do you have any guesses as to what this book is about? Is it fiction or non-fiction? And anything beyond that, then we really are just wildly guessing. During our phone consultation, I explained the importance of a having a subtitle to Meina, and we brainstormed on that. 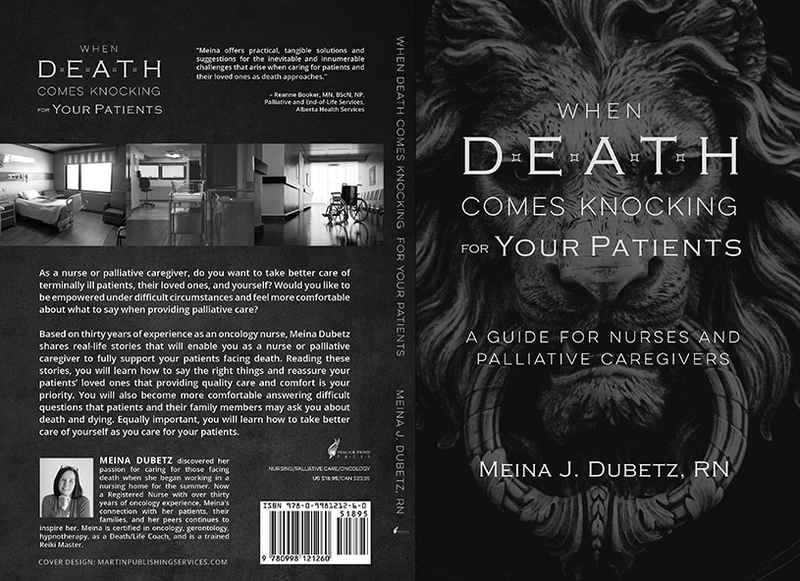 Now, book titling is not my official thing, but after our talk, she came back to me with a much better title: When Death Comes Knocking For Your Patients: A Guide for Nurses and Palliative Caregivers | Meina Dubetz, R.N. We were then ready to get back on track with our process, and she sent me other book covers that she liked. They each have a dark tone to them, which she felt was important, due to the topic of the book. I then went to work finding an image to use as the base. 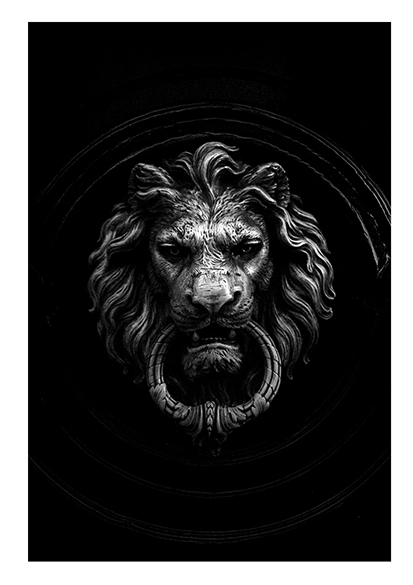 I wanted to stay true to her vision of using doorknockers and found an image that resonated with me and had good bones. Once I had clearance on the image, I got to work. This is the final cover. There was no need for additional concepts. A proper interview, creative vision, and experience worked together to turn out a cover that was a win/win/win (readers/author/designer). Each of these covers are a success, but they each took a different path. The key element is communication and my responsibility is to extract from the client what I need to make each cover a success.